The outdoor baths (Ougon no Yu) open at the end winter in March, April time. 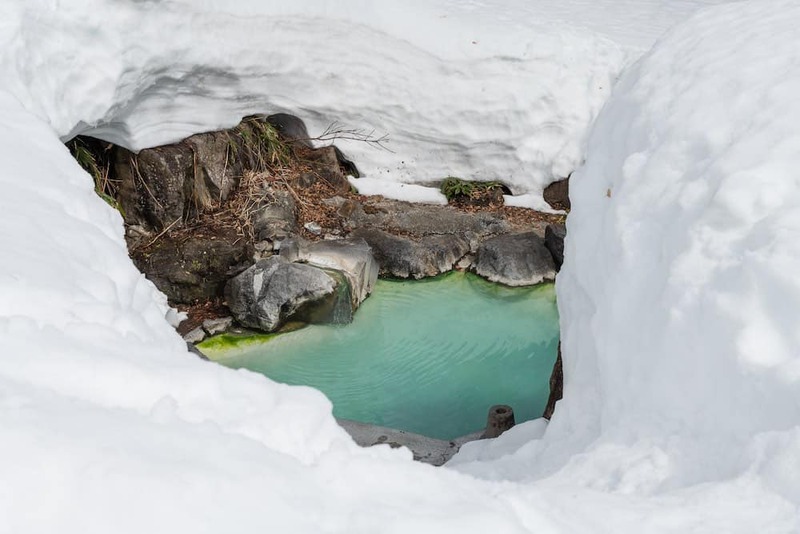 It is an amazing experience to try this hot spring while it is still surrounded by meters of deep snow. 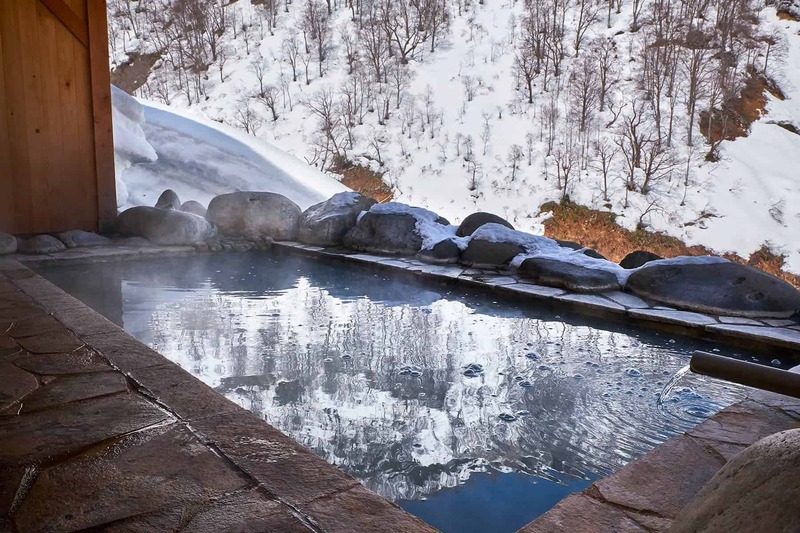 To reach this amazing bath you will need to walk over the snow for about 400m. Whilst the snow is still very deep it is compact enough to allow walking on it. Even so, you will need to watch your step and have some boots with you. The bath is very easy to find, just turn left after the warning sign at the top of the road. Then just climb up the snow and head up the hill. This is an excellent area to head to for those who are looking to explore a little. The baths are not usually busy at the end of the winter season so this is an excellent time to head there. 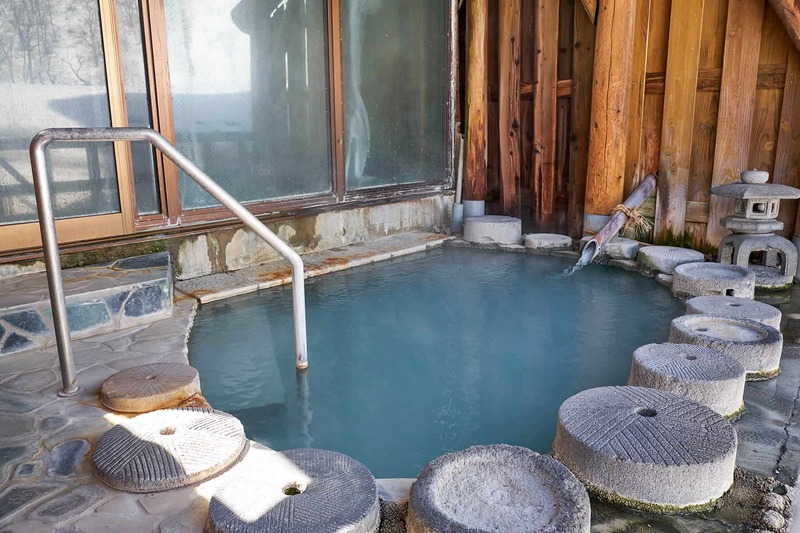 You can also try the amazing onsen at Hotel Iwatoya and Hotel Hanabun. Out door bath at Ryokan Hanabun. There is a local bus that runs from Sekiyama station to Tsubame Onsen. Check our page HERE. 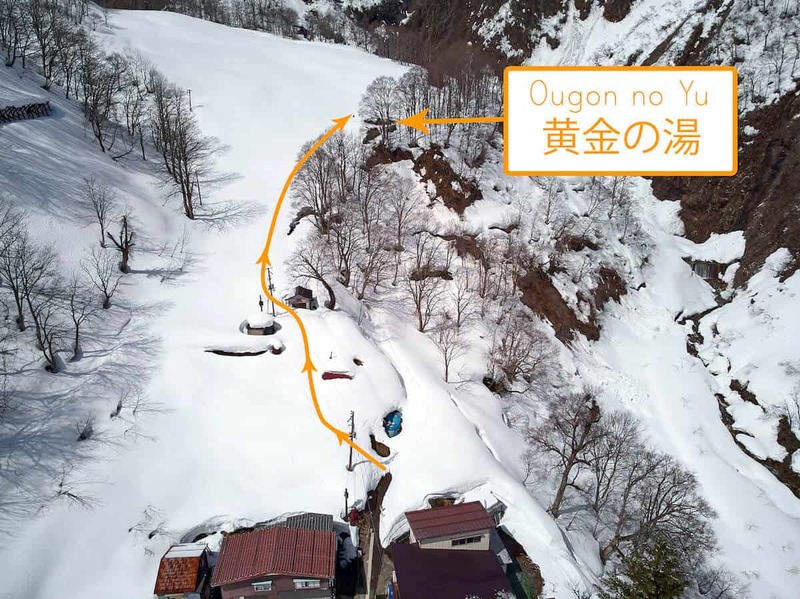 For train times from Myoko to Sekiyama check our page HERE. For those with a car, get on R18 heading to Arai/Joetsu and turn left at the Tomato farmers market and continue up the road past Seki Onsen until you reach Tsubame Onsen at the end of the road. Turn left at the top of the road and walk up the snow. Tsubame Onsen area at the end of winter.